Theda Perdue examines the roles and responsibilities of Cherokee women during the eighteenth and nineteenth centuries, a time of intense cultural change. 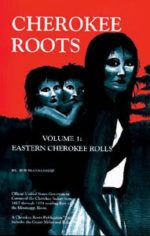 While building on the research of earlier historians, she develops a uniquely complex view of the effects of contact on Native gender relations, arguing that Cherokee conceptions of gender persisted long after contact. Maintaining traditional gender roles actually allowed Cherokee women and men to adapt to new circumstances and adopt new industries and practices.